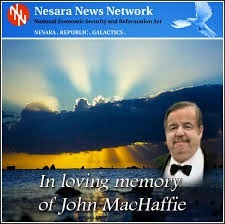 NESARA- REPUBLIC NOW - GALACTIC NEWS: BEHOLD, the Beast is Rising from THE BOTTOMLESS PIT - Two Anti Christs & a False Prophet(Fake Elijah) - Louis Farrakhan Just Joined Lord Ra-El (aka Raymond Lear) As Another FALSE MESSIAH. 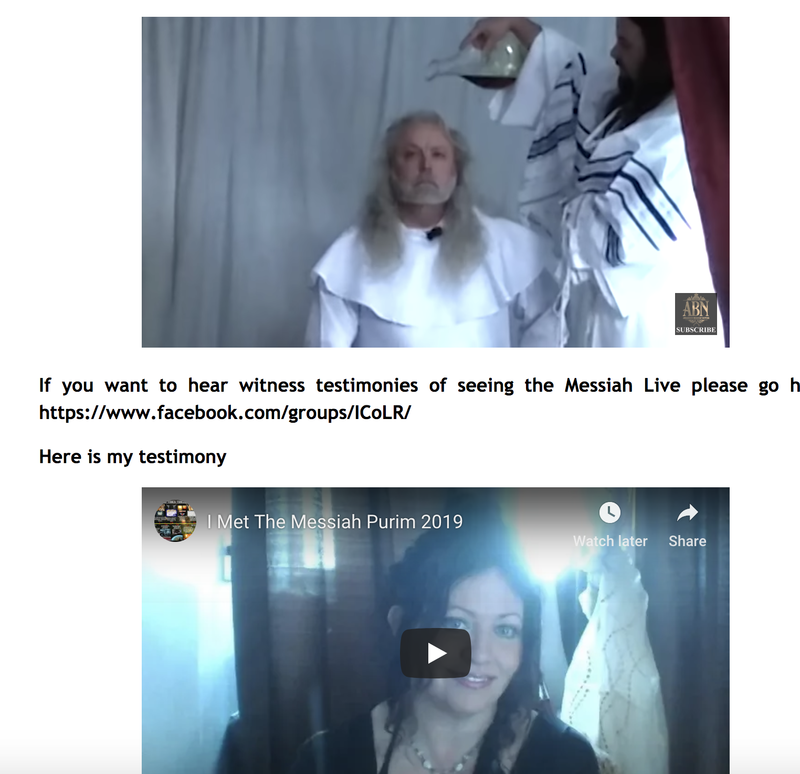 Below, a video of Lord Ra-El being anointed with oil by the False Prophet Elijah (FAKE) - The Anti-Christ(s) and the False Prophet, will ALL be cast into the lake of fire burning with brimstone. BEHOLD, the Beast is Rising from THE BOTTOMLESS PIT - Two Anti Christs & a False Prophet(Fake Elijah) - Louis Farrakhan Just Joined Lord Ra-El (aka Raymond Lear) As Another FALSE MESSIAH. Below, a video of Lord Ra-El being anointed with oil by the False Prophet Elijah (FAKE) - The Anti-Christ(s) and the False Prophet, will ALL be cast into the lake of fire burning with brimstone. The HOLY BIBLE says it very plainly. That one of the Anti-Christs shall go to Jerusalem and rule over the world for a short time. Being that Lord Ra-El was just anointed by a Fake Prophet (Fake Elijah), that means that Louis Farrakhan is filling the role of the Anti-Christ so that Lord Ra-El can go to Jerusalem and be PROPPED UP by the Vatican (New World Order of ROME) as the real Messiah, but he is only another Anti-Christ. I tell you that I know this to be fact, like I know the back of my own hand. Because the real Messiah is here, right now, and HE is certainly not either of these two frauds. We are all witnesses a process by which the ONE, Infinite Creator, lifts us all up with GOD so that we may be ONE, with GOD. This process has many layers. Those that you would refer to as angels (an example being the Sphere Being Alliance, from Corey Goode & David Wilcock), those that you would refer to as angels, have already gone through this process long ago. I ask you to forgive both Louis Farrakhan and to forgive Lord Ra-El (Raymond Lear, Convicted CON-MAN), for they know not what they do. But ultimately, both of these Anti-Christs, just like Hitler, are actually an expression of Love, though there will be much suffering and blood shed under their reign in the days to come, the overall purpose and intent is to make a splintered peoples, splintered by evil into a ten-thousands groups of suffered peoples, to make all those groups, become ONE. GOD commands you to forgive ALL, and to forgive yourself, FOR ALL. Then, GOD commands you to go out with your FAITH, and perform GOOD WORKS, whereby you lift up your fellow brothers and sisters in need. Do this, and you shall escape Earth just before it is totally destroyed. Fail, and you shall experience the end of Earth, and be purified by the experience, whereas you to shall be lifted up, to become ONE, with GOD, just as Jesus told you he was ONE, with GOD. 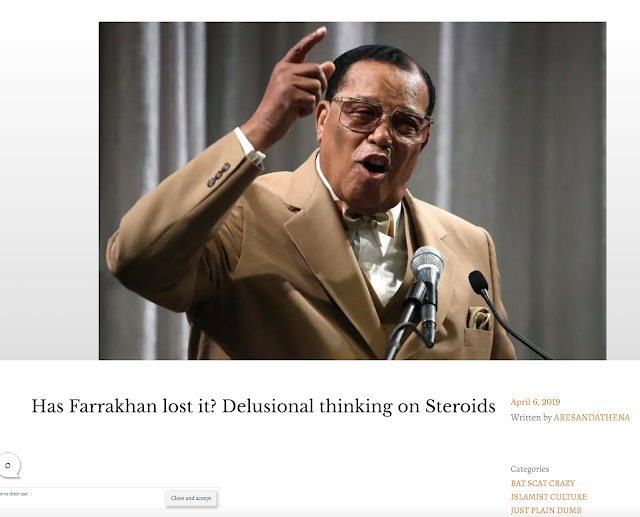 According to a report on the speech published on foxnews.com on Thursday afternoon, Farrakhan told his followers that some people reject him because “the white man” has said he is evil, that he’s a hater and an anti-Semite. On a visit to Iran in the fall of 2018, Farrakhan led a “Death to Israel” chant. Louis Farrakhan has been the leader of the Nation of Islam since the 1977.The Nation of Islam was founded by Elijah Mohammed, a former Baptist minister and sharecropper born in Sandersville, Georgia. For any who wish to know. This anti-christ also goes by, Lord Rayel, and his real name is Raymond Lear, he was a con-man, he is a convicted felon, and his greatest accolade is that he once ran for United States FAKE Congress in New Jersey, if I am remembering correctly. I forgive them, for they know NOT, what they do. I ask you to forgive them as well, less you partake in similar plagues which GOD shall use to rebuke them. The ONE, Infinite Creator (GOD), is very clear as to what shall befall them all. ALL anti-christs, and ALL false prophets shall be cast into the lake of fire and brimstone, this is the second death, there is no coming back from it, the soul is absorbed by SOURCE (God), and shall lose all knowledge of itself. The bible is very clear. For any and ALL, who intentionally add words to the bible, or whom take them away (turn to the very last page of the bible, it is clear), those who violate GOD's law in this way, shall partake in the plagues of the bible. For those who intentionally lead people astray, or intentionally lead people into captivity, such as Anna Von Reitz, there reward shall be CAPTIVITY.